“Pieing” – the act of throwing a pie at a person – has been a mainstay of slapstick comedy since the early days of silent films, inspired by the antics of Charlie Chaplin, Laurel & Hardy, and The Three Stooges. 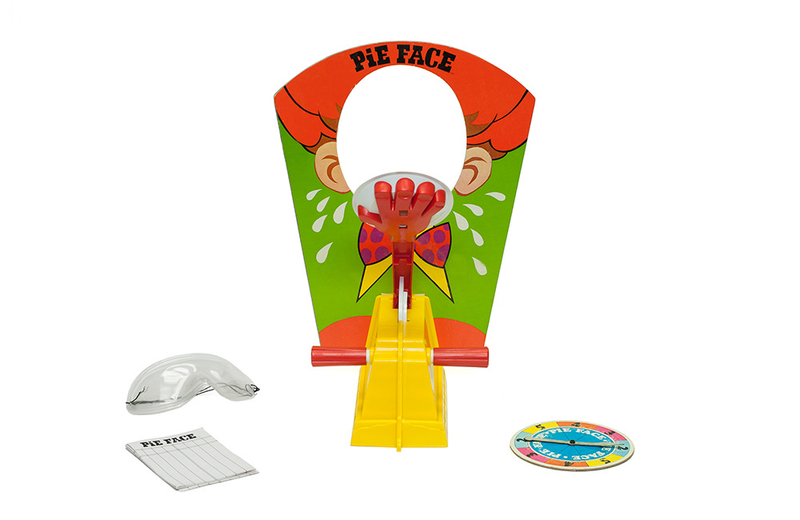 In 1968, Hasbro got into the act with the release of the Pie Face Game, a cream-pie variant of Russian roulette. Marketing materials of the time billed the game as “the most fun-filled action game you’ve ever played!” and “the goofiest, funniest, suspense game.” Of course, these statements rang true only if your idea of fun was (like mine) the prospect of seeing someone get a face full of pie. Designed by Marvin Glass & Associates, this pseudo-board game came equipped with a spinner, mask, score sheet, sponge, and pie-thrower. A 15 ½” tall cardboard target with a cut-out window for faces that made players look like clowns, rounded out the play package. As you might expect, the gameplay is simple. To start, the pie thrower is reset, the sponge is loaded with water or whipped cream, and placed on the thrower. Players take turns donning the protective mask and putting their heads in the cardboard target. Next, they spin the spinner, which settles on a number that tells how times the pie thrower’s “mystery handle” must be turned. If, after turning the handle, the player does not get a pie in the face, he or she scores the number of points spun. 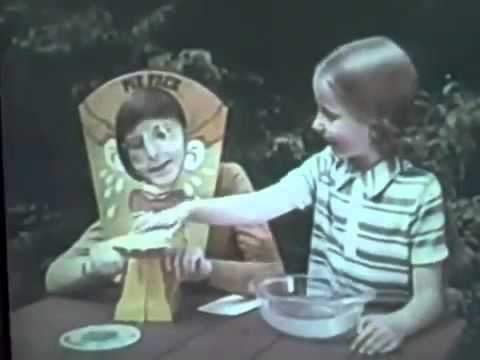 For the longest time, Pie Face was a mere flash in the (pie) pan – an odd remnant of gaming history and a rare vintage game for collectors to find intact and in good shape. Recently, however, this has changed thanks to a viral YouTube video of an updated version of the game issued by the Rocket Games company. Hasbro acquired the rights to the game and plans to begin marketing it in the United States and U.K. this Fall. Hudson, Ohio-based Little Tikes rolled the first Cozy Coupe off their toy car assembly line in 1979. Over the past three+ decades, the Cozy Coupe has retained much of the simple style and classic look of the original.